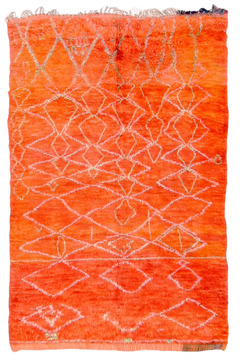 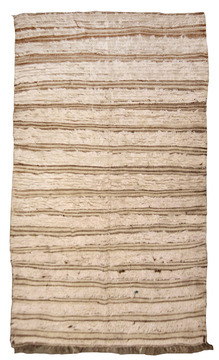 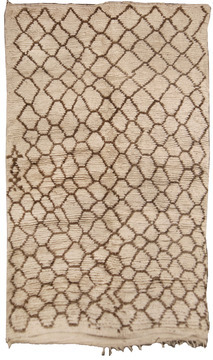 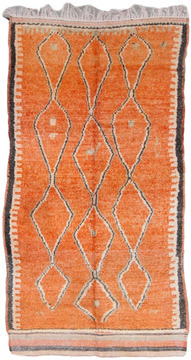 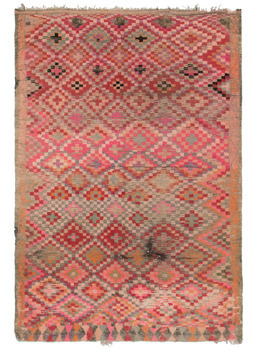 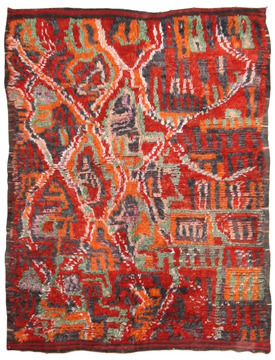 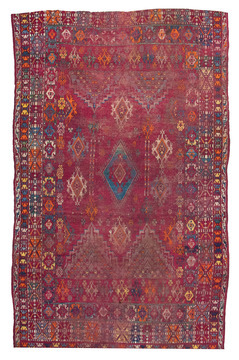 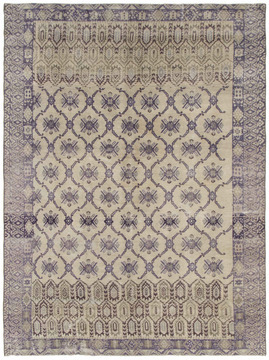 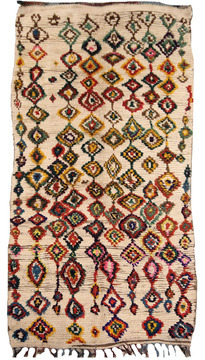 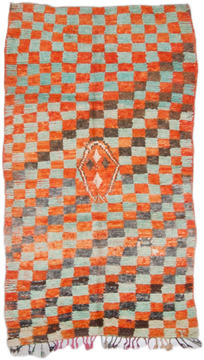 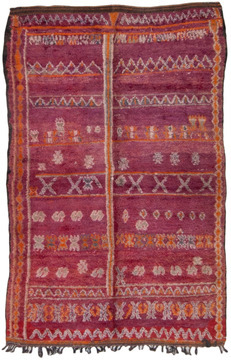 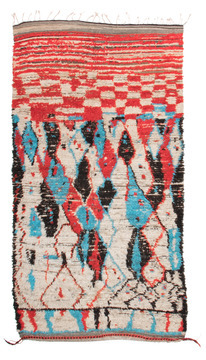 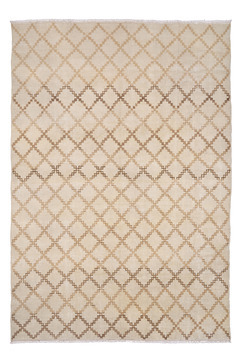 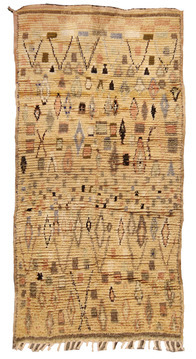 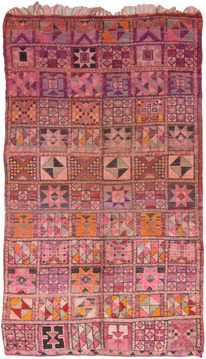 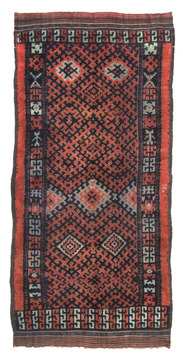 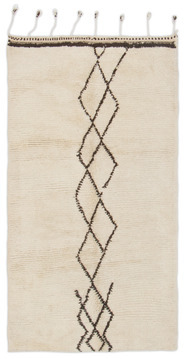 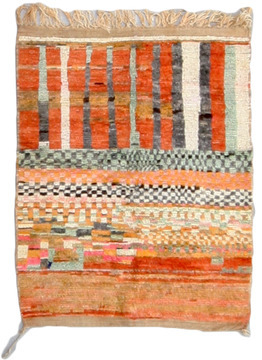 A Moroccan Rug with a colorful complex quality. 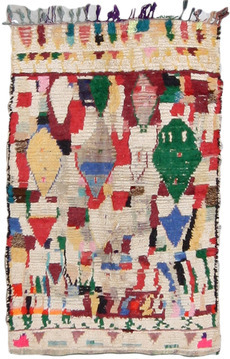 Black, ivory, red, yellow and slate blue predominate. 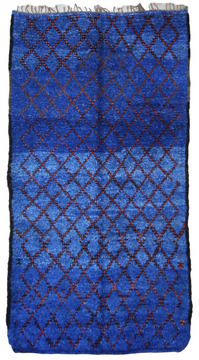 A partially serrated border encloses a grouping of open diamonds and a pattern of layered polygons. 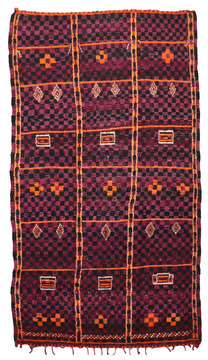 A palette of harvest or desert colors would do nicely.